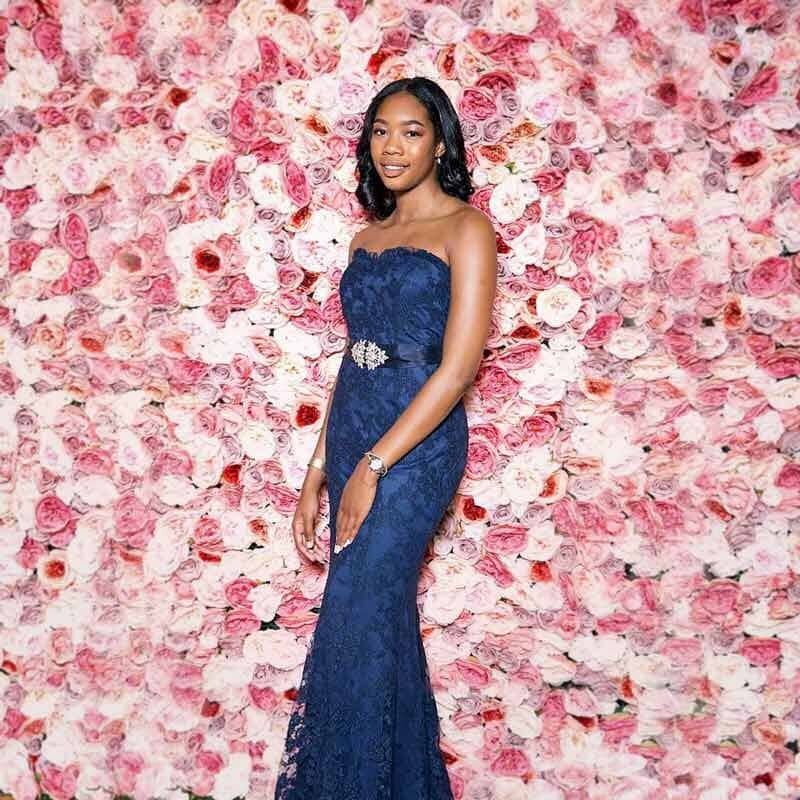 Long and mid-length evening dresses and ball gowns, sizes 4-18, great range of styles and colours, in chiffon, taffeta, lace and jersey – some classic, some more exotic – all at very low prices to clear. 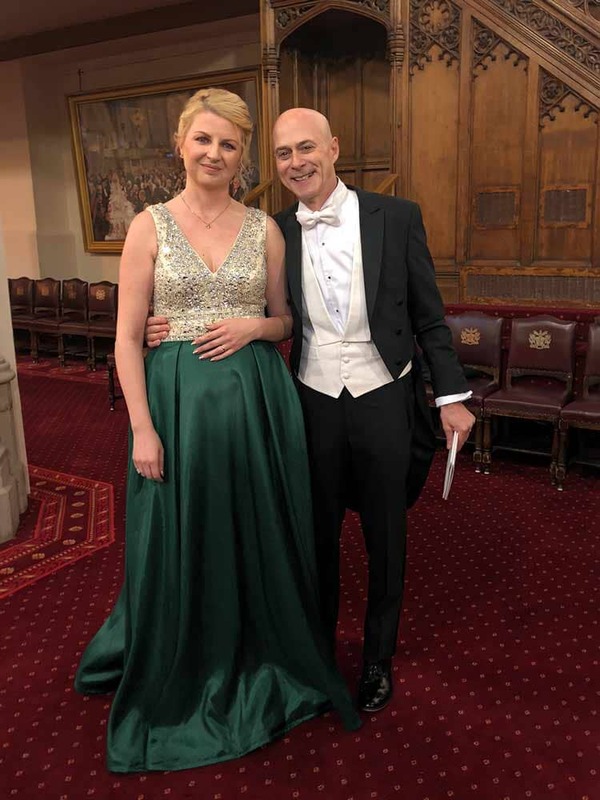 Perfect if you’re looking for a Christmas party dress, charity ball gown, business awards event. Anything white- or black-tie. One day evening dress sale! New stock has arrived and we need to make more rail space so come and pick up a party frock from just £40, plus some accessories, jewellery, evening bags and shawls for much less. Client finds the perfect gown for her Birthday Ball. 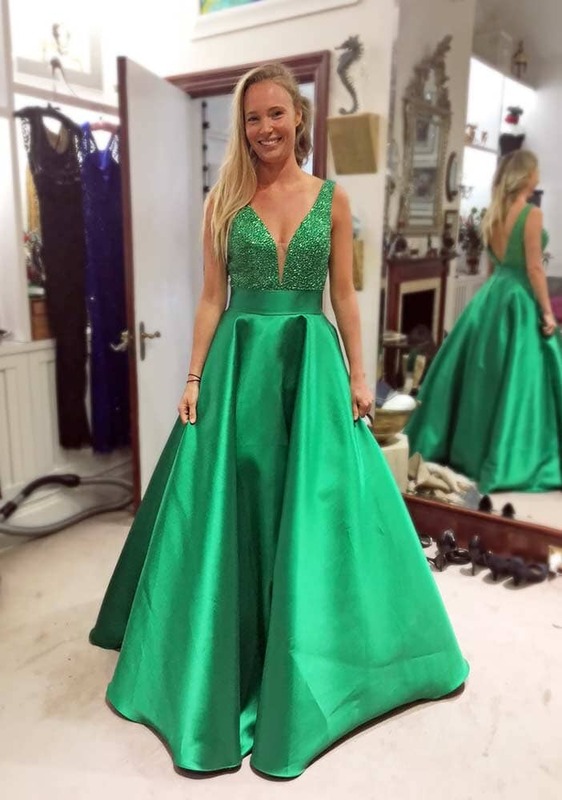 This gorgeous green gala evening dress will make her the belle of the birthday ball. The skirt has layers of netting beneath for a fuller shape and the bodice is embellished with tiny cylindrical glass beads for a sparkly accent. The illusion cleavage to the bodice allows you to dance with confidence. 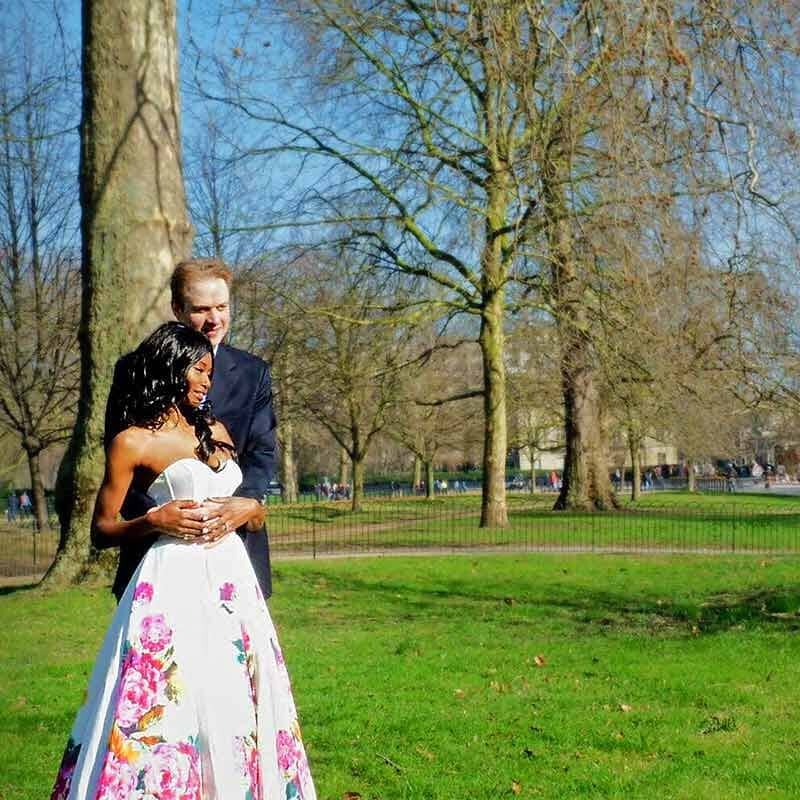 What a romantic scene: FD wears our white rose strapless ball gown for her engagement photos in Hyde Park. It has a lace-up bodice and full tulle petticoats for a flattering, figure-enhancing shape, perfect for engagement and wedding dresses. A gorgeous image that will last forever.